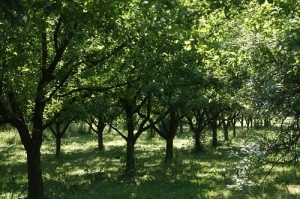 Pruning is the technique of trimming a fruit bearing tree or bush to stimulate the growth and formation of fruit buds. It involves the cutting back and shaping of a tree to maximise its fruit yield and life span. 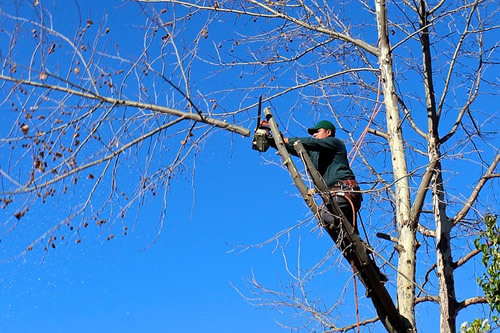 This can involve the trimming of branches, young shoots, leaves and buds and maintaining the overall good health of the tree by removing dead or diseased wood. One cannot simply cut away at a fruit tree and feel that it is now pruned. It takes a knowledgeable expert trained in the field to do this sort of thing. 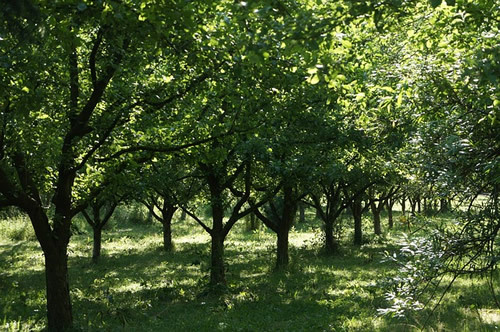 Un-pruned trees or trees with erratic pruning tend to have crop yields of small fruits and the tree can become biennial which means it will only flower and yield fruit every second season. Over pruned trees can yield oversized tasteless fruit that does not keep well. 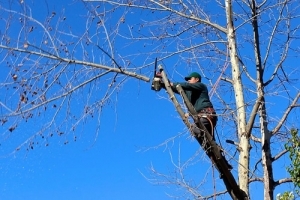 Trimming involves the light trimming of trees or shrubs to keep them neat and avoid them from growing out of shape and becoming too heavy on one side etc. The biggest aspect is keeping the tree, shrub or bush in shape and manageable. Cutting back of trees or shrubs becomes necessary when they have been left unattended and have become a problem by being allowed to grow unchecked over roofs, building or garden structures, lapa’s etc. thereby posing a danger. Unrestrained growth of branches cause problems as when they become too long and heavy they are at risk of breaking with huge potential for severe damage to buildings and people. We can assess a potential risk area where a tree is too close to a building, lapa etc.and advise whether it poses a risk.